HaRabim Beyad HaMeatim: The victory of the few over the many. This Hebrew phrase stands for the unfaltering resolve of the Jewish people. It was not only true in the days of the Hashmonaim, it is true today. The tiny land of Israel has always been surrounded by hostile nations. Even before the Maccabean victory over the Greek army, and many times after, the Jewish nation has defied the odds. According to all the calculations of military experts and against all rules of logic, the Jews should never have had the ability to defeat their enemies, especially when it came to the Greek empire. And even when Jews were expelled from their lands, they have always returned. Our enemies may have won battles, but they have never won the war. The miracle is not only that we have won major battles throughout countless generations, but that we even dared to fight. The Maccabbees were outnumbered, poorly trained and hardly equipped, but that did not stop them from trying. On Hanukah, we need to pause from all the festivities and present giving, and remember to thank G-d for the miracle of deliverance, and for the spirit that enabled the Maccabbees to fight this kind of “David-against-Goliath” battle and emerge victorious. As Jews today, we fight the same fight. The names and places may have changed, but as individuals, and as a nation, we need that Maccabean spirit to find the courage from within to best those who wish us harm. Or La’Goyim: A light to all nations. For 2,000 years, the eight branches of the Menorah have stood as a triumphant symbol of the Jewish will to live and worship in freedom. The Jewish struggle between the forces of darkness and light, Hellenism and Judaism, still has relevance today. The influence of Hellenism, the primary source of western civilization, is still felt today. It was the Greeks, and later the Romans, that brought institutions like philosophy, history, books, schools, athletics, architecture, and the concept of democracy to Europe, and later on, to America. According to Historians, there is almost nothing that does not have its roots in ancient Greece. Consequently, it is not difficult to understand why so much of the good in Hellenism was hard to resist. It still proves hard to resist. Throughout the ages our people have always needed to carefully incorporate modern influences while maintaining our unique identity and unfaltering mission. The same forces that caused Jews to assimilate in the times of Judah Maccabee are still alive today. The difference between then and now is that the Jews who lived through the miracle of Hanukah had something that Jews today have lost ~ a closeness to the Temple and a memory of its services. Every day the holy Menorah was lit in the Temple. It symbolized the light and warmth of Torah and reminded the Jews of their unique role and awesome responsibility as G-d’s chosen people: To be an Or La’Goyim, a light and a shining example to all nations. In a very real way, the menorah is like the Jewish soul, a flame that can be put out, but never completely extinguished. The Greeks tried and failed. Many have followed. 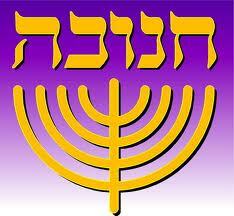 But as long as Jews seek to light the menorah, like the Maccabees did, the flame of Jewish life can never go out. The Maccabees found enough oil for one night, but G-d saw their devotion and caused the tiny flame to burn for eight nights. To be an Or La’Goyim is to keep the torch burning, often under impossible odds. We are a tiny nation given the difficult task of keeping the Torah alive in a world that is often hostile to the Jewish way of life. When we don’t know how to keep the fire burning, we need to look to the miracle of Hanukah. Find enough oil to last one night, and have faith that G-d will step in to make it last eight nights.